Scarab Rouge specialises in creating stunning handcrafted one of a kind jewellery. 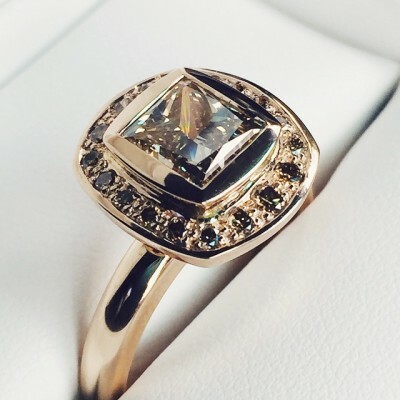 Our bespoke jewellery services include sourcing extraordinary diamonds and materials, creating exceptional engagement and wedding jewellery, luxury commissions, transforming old jewellery and creating stylish statement pieces you’ll love. Founder and the creative force behind Scarab Rouge, Aida Guirguis has created a luxury jewellery company which effortlessly combines beauty, integrity and sustainability to create exquisitely luxurious one of a kind pieces that will make your eyes sparkle & your heart sing. Owner of ethical luxury jewellery company Scarab Rouge, Aida Guirguis is a Jewellery Designer like no other. Inspired by her Egyptian heritage, Aida founded Scarab Rouge in 2001 and has built a reputation for creating stunning handcrafted one of a kind pieces of jewellery. Aida’s scientific & technical background give her a unique understanding of the production and crafting process, metals and materials. An expert in diamonds, Aida is passionate about sourcing luxury materials & prides herself on creating a connection between piece and wearer which is unique to the individual. Aida has developed incredible relationships with diamond and precious gem suppliers, including working with Australian Argyle Diamonds and provides GIA Certificates for all diamonds over 0.3 carats. Scarab Rouge is a Q Report certified jeweller, facilitating insurance that gives you the confidence to wear your precious jewellery everywhere, anytime. From her initial first meeting to presenting the finished piece, Aida’s synergy of passion, design and craftsmanship and her incredible attention to detail sees diamonds, precious and semi-precious stones set beautifully in gold, platinum or silver. Scarab Rouge creates unique pieces of jewellery to reflect an individual's essence. I love sourcing the perfect diamonds, gems and stones and creating exquisite, luxurious jewellery that will unleash your light. This isn't just a career...it's my calling. It’s YOUR LOVE STORY. 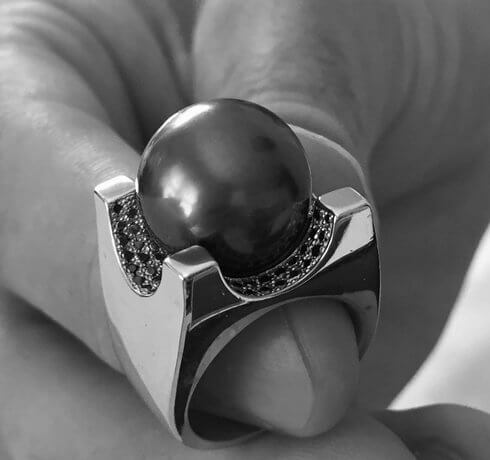 Scarab Rouge specialise in creating stunning rings to express your commitment. Contact us to view our gorgeous ethical diamonds and precious gems, we would love to become part of your story. If you’re looking for jewellery with that WOW factor, look no further. It’s exactly what Scarab Rouge create every time. Contact us, we would love to hear from you and can’t wait to create your dream design. Your old jewellery will be transformed by Scarab Rouge into a stylish and luxurious statement you will love wearing. Contact us to discuss your options. We look forward to creating your new statement piece. The very talented Aida is amazing, listening to my ideas, discussing potential shapes to suit my hand and lifestyle, sourcing some incredible Argyle Chocolate Diamonds. Aida made me feel like I was part of her team, keeping me involved in the design process the whole way, showing me a detailed sketch of my ring and, once ready, personally presenting me with my official, ridiculously stunning engagement ring, handmade, one of a kind and beautifully packaged! I look at my ring constantly with pure adoration; I absolutely love it and couldn’t be happier wearing it. Thank you Aida. Aida your collection is divine - wow! The jewellery Aida from Scarab Rouge designed and made for me, far surpassed anything I could have imagined. My pendant is truly stunning! The whole process was a delight from start to finish. Aida’s creativity, professionalism and eye for detail made sure the pendant was just perfect. I think you are an amazing designer and you have designed pieces that fit me exactly, which is a rare and special gift. It is the most beautiful piece of jewellery I have ever seen in my life and I am a connoisseur! When I saw both pieces, I was moved to tears and totally blown away. I love my pieces and wouldn't part with them for any amount of money. Thanks again, Aida. Receive the latest Scarab Rouge news straight to your inbox. We'd love to discuss how we can create stunning handcrafted jewellery to unleash your light! Scarab Rouge specialises in a range of jewellery crafting services including unique engagement rings, wedding rings, statement pieces, commission work, and jewellery remodelling. Copyright © 2019 Scarab Rouge.